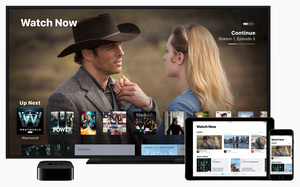 Apple is readying up the launch of a new streaming video service, and it might be here sooner than we thought in October. Cupertino giant is focusing much of its efforts to launching this service, and even the new iMacs and iPads released earlier this week seemed like an afterthought, which shows how important the new video service is. Apple will reveal the new platform next Monday, and while there's no official information yet, Recode says they know what to expect. According to them, Apple's new platform isn't going to challenge Netflix as much as you and I might have thought. It's not going to be a Netflix clone but instead going to offer other video streaming services a platform on the Apple ecosystem. While it's not directly challenging Netflix, they will introduce new original content in the form of exclusive movies and TV shows. Netflix has already previously said they won't be available on the Apple's new service. Other than streaming platform, Apple is said to be unveiling a new version of Apple News as well as a credit card with the help of Goldman Sachs. <Facebook put hundred of millions of accounts in jeopardy >Microsoft releasing a new all-digital Xbox in May?